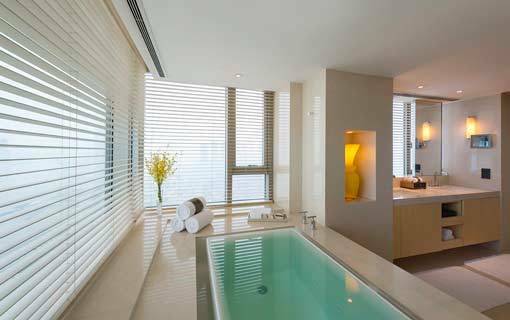 Stylish and spacious with breathtaking views of the city or the river, Marco Polo Wuhan’s 356 rooms and suites are well equipped with modern comforts and technologies. 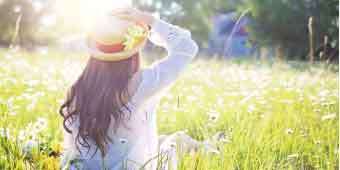 It is the preferred hotel of today’s business and leisure travelers. 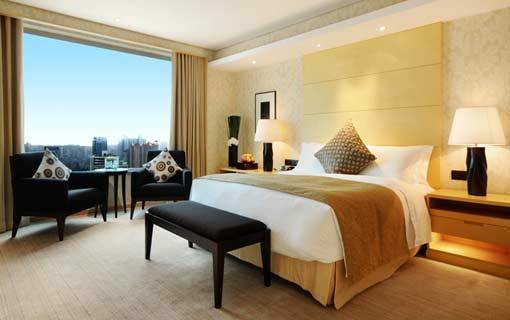 Marco Polo Wuhan which is centrally located at the commercial and business (CBD) district of YanJiang Avenue consists of 356 rooms and suites. 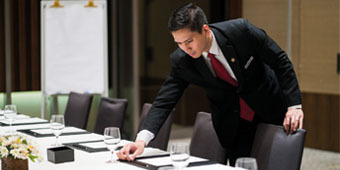 The space and comforts of every room and suite is further enhanced by the hotel ‘s attentive service. 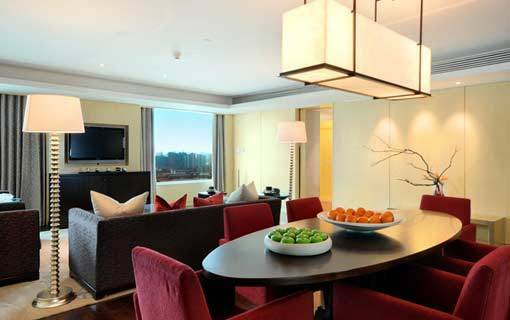 Guests in every room or suite of Marco Polo Wuhan can be assured of a beautiful view of Wuhan city or the Yangtze River. 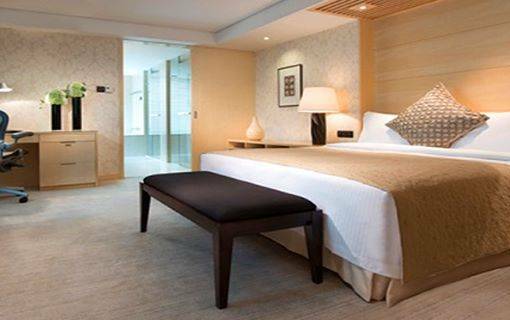 Marco Polo Wuhan offer rooms with river or city view, each furnished to highest standard. 32-36 sq m. / 345-388 sq ft.
39 sq m. / 420 sq ft.
36 sq m. / 388 sq ft.
46 sq m. / 495 sq ft. 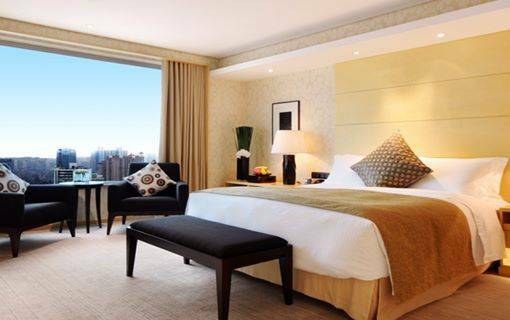 Sample luxury in our suites, where luscious décor and dreamy views of the Yangtze await your arrival. Elegantly designed and distinguished by exceptionally spacious dimensions, the Deluxe Suite ranges from 71-83 sq m. / 764-893 sq ft. All suites are with fully equipped kitchens with the latest branded home appliances. Guests staying on our dedicated rooms can enjoy an array of amenities. 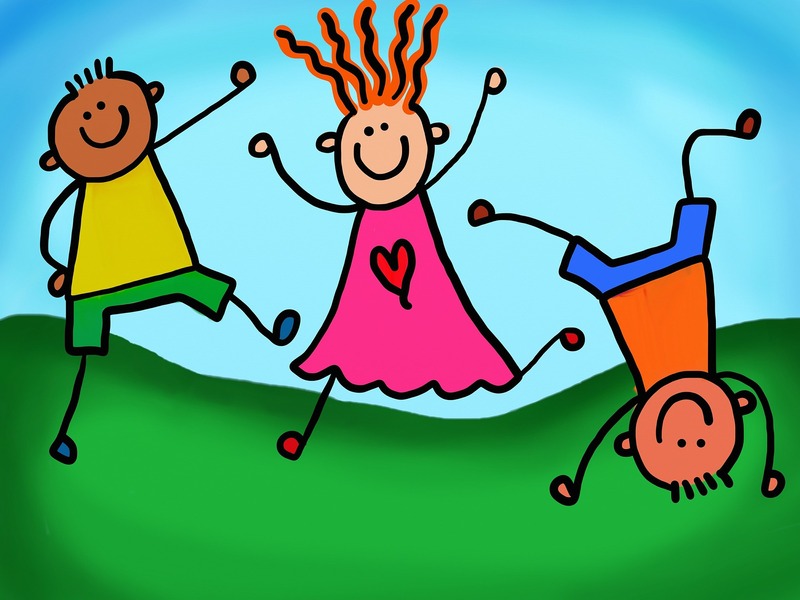 71-83 sq m. / 764-893 sq ft.
118 sq m. / 1270 sq ft. The very definition of modern luxury and chic ambience, the Continental Club Room with its lush interiors and spectacular view of the city or river is sure to impress you. Located on the 34th floor of the hotel, there sits the enchanting Continental Club floor. 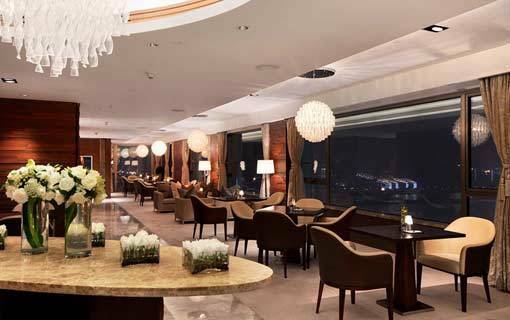 The exclusive Continental Club Lounge offers guests boundless views of the Yangtze River and experience of a leisure escape. Guests staying on the Continental Club floor and our dedicated rooms can enjoy an array of benefits. 32-36 sq m. / 344-388 sq ft.
46 sq m. / 495 sq. ft. The very definition of modern luxury and chic ambience, the Continental Club Room with its lush interiors and spectacular view of the river is sure to impress you. 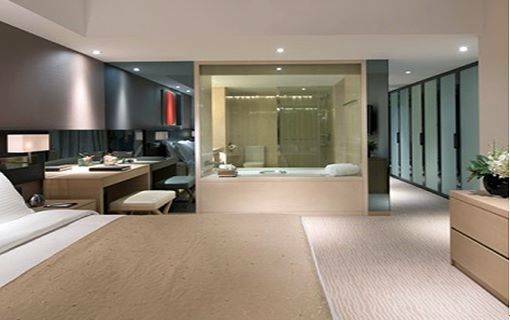 With rooms and bathrooms that are genuinely expansive, you will have ample space to relax and unwind. With a capacity of accommodating 3 persons per room, these rooms are located from 29th to 34th floor. 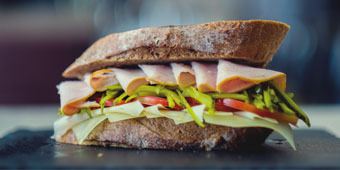 Your stay will even be more comfortable with Continental Club benefits and the amenities. Catering to your longer term luxury living. The definition of modern luxury and chic ambience. The 2-Bedroom River View Apartment with, its lush interiors and spectacular view of the river is sure to impress you. Each apartment is 120 sqm / 1292 sq. ft. in size. Guests staying on our dedicated rooms can enjoy an array of amenities. 120 sq m. / 1292 sq ft.